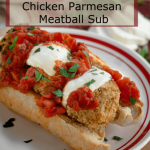 Easy Chicken Parmesan Meatball recipe makes a delicious meatball sandwich, served over a plate of pasta, or a quick and easy meatball appetizer with your favorite sauce or dip! This chicken meatball recipe is so quick and easy to make. They make a great appetizer and leftovers can double as a meatball sub dinner. Baking them ensures that they’re never over or under cooked. There is always so much going on. I used to say as soon as we get through “this”, everything will settle down. Well, as soon as we do get through “this” the next “this” pops up. You know what I mean? I think it’s universal. Even though we are so busy, it makes it all that more important to get together with friends or to sit down together with each other at the end of the day. That is why I love baking up a big batch of chicken meatballs. I cook in batches. It’s just as easy to cook twice as much as we need and have leftovers the next night or put the extra food in serving size containers and freeze it. Then I’m prepared if we need a quick meal or appetizer for impromptu entertaining. They make a great easy parmesan chicken recipe over pasta. Stuff them into a bun for a meatball sub. Bake them and put them in a slow cooker covered with sauce to keep them warm for your next gathering. Guests can help themselves. Meatball fondue – serve with picks and provide several sauces such as marinara, cheese sauce, or pesto. There are so many ways you can flavor meatballs. These Baked Italian chicken meatballs is way up there on our love list. Another recipe that’s really been hot on the blog is the Crockpot Mexican Meatballs in Chipotle Sauce and our Baked Turkey Meatballs in Green Chiles Sauce. I guess it’s fair to say we love meatballs right? The best way to know when your meatballs are done is to test them with an Instant Read Thermometer. I personally use this thermometer for everything that I cook by temperature even my bread! Chicken meatballs are done when they reach a temperature of 165° F.
When I make meatballs or cookies or anything that I want to be a similar size, I use scoops. They not only look better but they cook evenly too. You can make a larger scoop when serving these meatballs over pasta or a smaller one when serving them as appetizers. Dipping sauces and topping ideas for these delicious chicken parmesan meatballs! To me, one thing that I am picky about when I have a sandwich is the bread, roll, or bun. 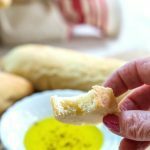 I used my Simple Ciabatta Bread Recipe for these rolls. In my post I show you two different ways you can make them with plenty of process shots to help you make them. 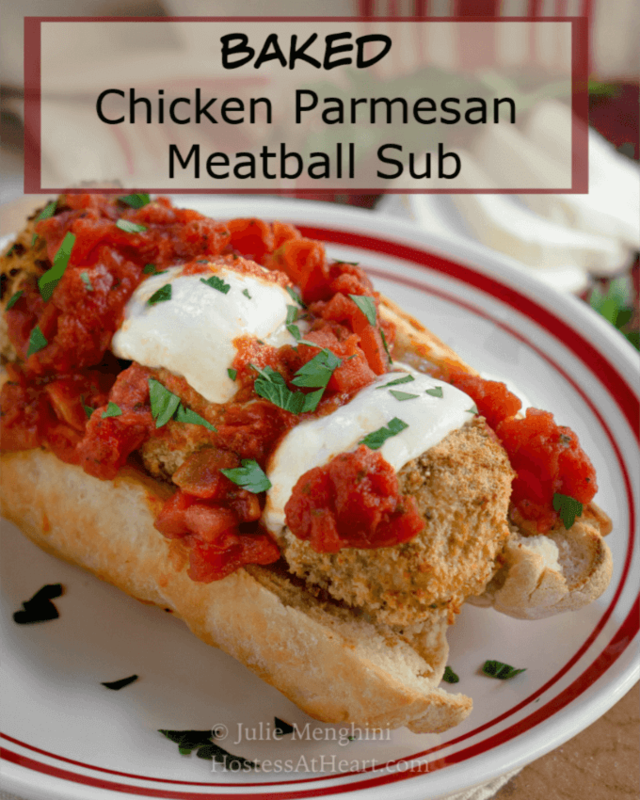 They’re definitely perfect for this Chicken Parmesan Meatball sandwich! Baked Chicken Parmesan Meatballs are delicious over a plate of pasta for dinner or served with sauces or dips as appetizers. 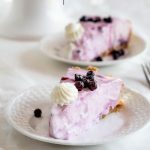 They’re quick, easy, and delicious! Preheat oven to 400°F. Line a rimmed baking sheet with foil and spray with non-stick cooking spray. Set aside. In a medium bowl, combine ground chicken, bread crumbs, pecorino romano cheese, egg, garlic powder, salt, pepper, and Italian seasoning. Combine egg, 1 tablespoon of water and whip together with a fork. In a separate bowl combine panko, breadcrumbs, Italian seasoning, and salt. Glaze the meatballs with the egg mixture and then roll them in the breading mix. Bake for 20 minutes or until the register an internal temperature of 165°F. While meatballs bake, add a can of diced tomatoes to a 9 to 10-inch saucepan. Add garlic powder and Italian seasoning. Cook until most of the liquid has cooked off. About 10 minutes. Turn the oven to broil and put the oven rack in the top 1/4 of the oven or about 10 inches from the top. Add mozzarella to the top of each meatball. Broil until melted. Watch carefully this will only take about 5 minutes. Place meatballs in a hoagie roll (if using) and top with sauce. Garnish with fresh parsley. Nutritional value doesn’t include hoagie rolls or pasta. You can also use store-bought marinara for convenience. Serving size is 4 meatballs per sandwich. The recipe makes approximately 16 meatballs. I’ve been looking for a great chicken meatball recipe, and this looks like it! I love the classic flavors you’ve incorporated, and that they’re baked instead of pan-fried. So easy, convenient, and lighter than the beef versions. I would definitely make a meatball sub out of these, and I love the fondue idea with different sauces to choose from! What a great idea to make the chicken Parmesan into a meatball! 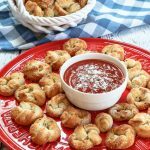 A great party appetizer for the game on Monday! Hooray for quick and easy, but amazingly delicious dinners! Loving this combo of chicken parmesan and meatballs together. I don’t usually make meatballs, so my husband would be over the moon if I surprised him with this for dinner. Thanks for the amazing recipe! Thank you so much! Let me know how it goes! I am loving everything about this sub! Deliciousness! I love a good saucy meatball sub. I mean, who doesn’t? But I tend to avoid them in general because… well, they’re usually a little on the over-indulgent side. But this is not only delightfully doable, but also leaner! I should really use ground chicken more often – I always enjoy it when I do, but I tend to largely confine my efforts to East Asian recipes. Fantastic stuff. Pass me a napkin! Thank you, Sean! 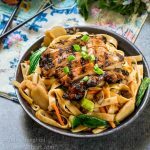 I love how creative your recipes are and definitely love the Asian flair! Love chicken meatballs and that sandwich looks terrific. This is a fun twist on the classic chicken parm. Oh, chicken parm you taste so good! Oh gosh. Hello. This is amazing. Love the fact that you’ve brought two classic Italian comfort foods into one glorious monster of a sandwich. I also love how simple the marinara is, too. It’s so nice to make your own when doing recipes like this, but when there are so many other steps, ya gotta keep it simple! This recipe is the best of ALL worlds. Thank you, Dana! Simple and yummy just go together in our busy households! The sub sandwich is perfect for my husband and I’ll eat the meatballs over zoodles. Perfect mid-week meal and looks like this will warm up nicely for lunch too! Thank you, Sandra! Meatballs fit into about every food category fo meal, snack appetizer at our house! Chicken Parmesan is one of our favorite meals so this is a HUGE hit at our house!!!! This is a great recipe idea! My family loves chicken parmesan…I never thought to make it as meatballs! Thank you, Michelle! I imagine protein is the name of the game for your active family! Love this! 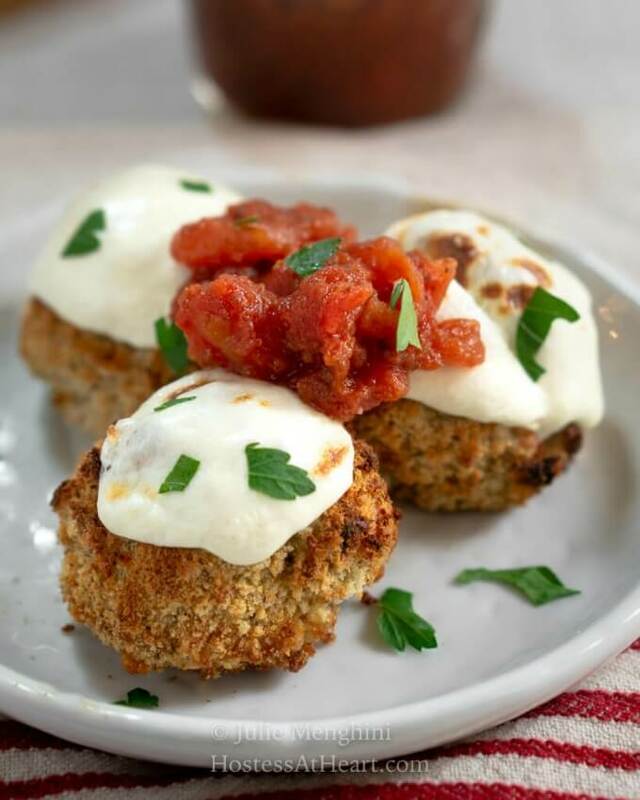 Such a great recipe to knock out a ton of calories you’d find in a traditional meatball parm. Cant wait to try this! My son loves meatballs, but beef upsets his stomach, so these would be perfect for him! Thanks for the recipe. Thank you, Ann! So happy you stopped by! Great recipe! and I love that chicken is used… YUM! These chicken Parmesan meatballs look so good! I would love to make them for a potluck or a party, and I think your idea for a meatball fondue is just genius! It sounds like so much fun! These subs look incredible!! 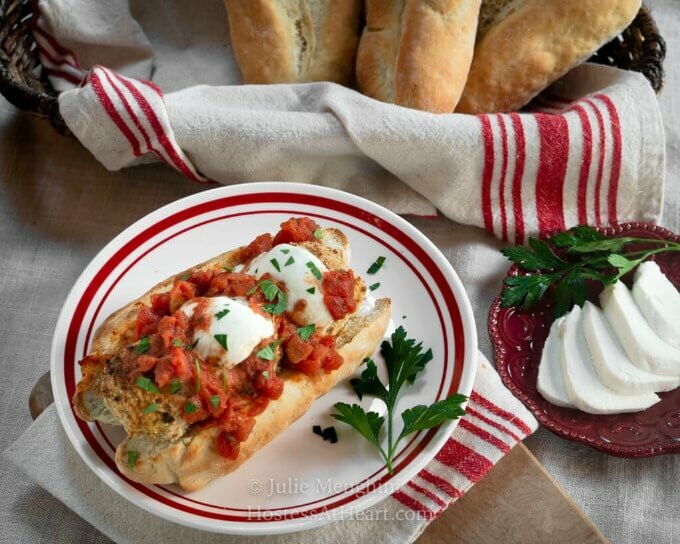 My hubby is a HUGE meatball sub lover – can’t wait to try them! Thank you, Michaela! They do make yummy subs. Love how simple these are. That crispy outside is definitely a plus. I could easily see the kids loving these in a small size with toothpicks and some marinara dipping sauce. Thank you Debra! They are versatile! I think ground chicken is underused. Love the sound of these meatballs. A great change of pace from red meat. I would devour a meatball sub right now. Thank you, Gloria! I loke changing this up too! These meatballs look so good, I just had dinner and I’m getting hungry again.